I began 2016 with a new years blog post and I felt it only fitting to start 2017 with a blog post. It’s been a while since I have made a new post, as the holidays and life have been so crazy lately, but fortunately for all my readers things are starting to calm down a little and I can focus on getting back to normalcy. As I was discussing 2016 with my husband this afternoon, I came to the conclusion that it was a year of learning and of growth. It definitely wasn’t the greatest year for us, but I managed to focus on bettering myself as a wife, mother, and person. For the 2017 year ahead my list of resolutions is quite long but I feel is very doable. I have big plans this year for expanding my Cami Cakes brand, I want to focus more on organization, and I want to find a way to volunteer once a week with my kiddo whether that is visiting the animals at the humane society, visiting a nursing home and bringing some cheer to the elders, whatever it may be I want to continue to find ways to give back and show my son the beauty and joy that he can bring to the world. I also want to continue to focus on my health and find ways to reduce my carbon footprint. Watching the documentary Cowspiracy in 2016 changed our diet forever. I also struggled with some health issues this last year and managed to get back on track solely with my diet change. Lastly, I would like to read more. I spend way too much time watching reality TV and would like to focus more on expanding my mind and getting lost in more books. I’m excited to see all that 2017 has to bring! I wish you all a very happy and healthy year ahead and thank you for all your continued support and love. Hello all and I hope you are having a great week. For the last couple of months I have been on a very strict diet prescribed by my doctor. It is essentially a Paleo diet with a few other restrictions. Because of my celiac disease and after pregnancy, I needed to take the time to heal my gut and get my body back to normal. I have done this diet in this past and it takes major will power in order to succeed, especially when everyone around you is eating normally. I have my motives and they keep me going. To add to my already complicated diet, I have also chosen to go mostly vegan with the exception of chicken and eggs. A few days ago my husband and I watched the documentary Cowspiracy on Netflix. Watching this movie truly blew my mind away and made me want to make some adjustments to what I was feeding my family and myself. My husband and I agreed that it wouldn’t be very hard to get rid of all meat but chicken and rid our diet of all dairies. We already drink almond milk as it is, so our only major issue would be cheese. I made a stop at whole foods and bought all the vegan/gluten free food I could find. To our surprise the vegan cheese tasted just as good, if not better than normal cheese. As a baker this new diet will be a challenge but I love being challenged in the kitchen. From here on out I will be making not only gluten free but dairy free baked goods as well. One recipe that has gotten me through over and over again is the following recipe for chocolate chip cookies. If you have not picked up the cookbook Clean Eating With a Dirty Mind then you must buy it right away and add it to your collection. Everything I have made from this cookbook has been amazing and all of the recipes are paleo, gluten free, and dairy free. On another note OneHOPE has added a few wines to their collection as well. One being a San Luis Obispo Reserve Pinot Noir with every purchase going to educate 375 people on how they can help save endangered animals, which is a cause that is so close to my heart. The other two are new bubbles that they came out with for the holiday season approaching. The first is a North Coast reserve sparkling Rose and the other is a North Coast reserve sparkling brut. Bubbles are my favorite so you better believe that as soon as my doctor gives me the ok I will be popping one of these two. Make sure you get yours through the OneHOPE tab. 1. Preheat oven to 350. Line two baking sheets with parchment paper. 2. In a large mixing bowl, combine the almond flour, baking soda, and salt. Stir together using a fork until well combined. 3. In a separate medium sized bowl, combine the honey, coconut oil, vanilla, and egg. Beat with a hand mixer set on low speed until smooth. Add the honey mixture to the flour mixture and beat on low until combined. Stir in chocolate chips. 4. Use a small cookie scoop to transfer dough evenly onto the prepared baking sheets, spacing the cookies about 2 inches apart, about 9 per sheet. If using only one baking sheet, refrigerate the remaining dough until ready to bake. 5. Bake each sheet separately for 7 to 10 minutes or until the tops and edges of the cookies are lightly browned. Remove the parchment or baking mat from the baking sheet and let the cookies cool slightly before using a spatula to transfer them to a cooling rack. Store covered at room temp for up to 3 days. I hope everyone is having an awesome summer. It’s been a while since I have made a blog post, we have had quiet a busy summer and I have been even busier baking. I have baked for 30-year birthday parties to 30-year anniversary parties to baby showers, and more. Our weekends have been filled with lots of fun activities and we continue to be busy through August. Needless to say that blog posts have not been on my mind lately, but I am here to reassure all of my followers that I am back at it and blog posts will be more often in the future. On another note, is everyone enjoying the start to the Olympics? Last night we of course, with a majority of the world, watched the opening ceremony. My favorite part of the ceremony was the message on global warming. I love that Rio made a point of including this surreal issue into their performance. Global warming is real and present and people need to do what they can to reduce their carbon footprint and help save this planet that we call home. For as long as I can remember I have loved watching the Olympics and not until I started competitively swimming when I was nine years old did I really relate and appreciate the hard work and dedication of these athletes. The swimmers back then became my heroes. One of which was Michael Phelps whose first Olympic debut was when I was ten years old. All the girls on my team fell in lust with this man and now we are seeing him swim in his fifth Olympics in Rio. Although I didn’t have the determination like my fellow teammates who went on to compete in college and beyond, swimming was still a huge piece of my heart and my life. I swam for nine years until my final race at the end of my senior year of high school. I will never forget my dad sitting me down before I was about to walk to the block and telling me to give it my all, this was it as far as my swimming career went and not to hold back. I swam my heart out, won my heat, and got my all around best time. I crawled out of the pool and fell into my dad’s arms and cried. I retired my suits and never raced again. Watching the Olympics brings back all those beautiful memories that swimming has given me and this time I get to enjoy watching with my little one. In honor of the Olympics being in Rio, Brazil I want to share this recipe for Brazilian Cheese Bread from Simply Recipes. Be careful, these are seriously dangerously delicious. They don’t last long in my household. 1 Preheat oven to 400°F. Spread a little olive oil around the insides of each well of a mini-muffin tin. 2 Put all of the ingredients into a blender and pulse until smooth. You may need to use a spatula to scrape down the sides of the blender so that everything gets blended well. At this point you can store the batter in the refrigerator for up to a week. 3 Pour batter into prepared mini-muffin tin, not quite to the top; leave about 1/8 inch from the top. 4 Bake in the oven for 15-20 minutes, until all puffy and just lightly browned. Remove from oven and let cool on a rack for a few minutes. SSSHHHHAAAAARK!!!!! Are you all enjoying Shark Week as much as my family is? More than 2 million people enjoy the annual drama that is Shark Week each year and in my household we have dedicated this entire week to shark activities. We started the kickoff to Shark Week with a shark sensory bath for our little one. We dyed the water blue and added toy sharks that I bought off amazon, as well as some blue floating balls and a toy bath boat. Needless to say this was a hit and a great way to start off our Shark Week. The next day I printed off a few coloring templates of sharks for our boy to color, which he loved every second of and you can also print off here. The following day I surprised him with a fun shark board book called Shark Bite, which we read to him every night the rest of the week. Next we had bought this totally awesome remote control swimming shark balloon. I think my husband and I had more fun with this one than our little guy. You can find the shark balloon on amazon. Last night we sat down as a family and watched Shark Tale after dinner. To finalize our Shark Week we are making these adorable shark cupcakes from Cupcakes and Cashmere to eat while enjoying the final days of this annual summer family tradition. 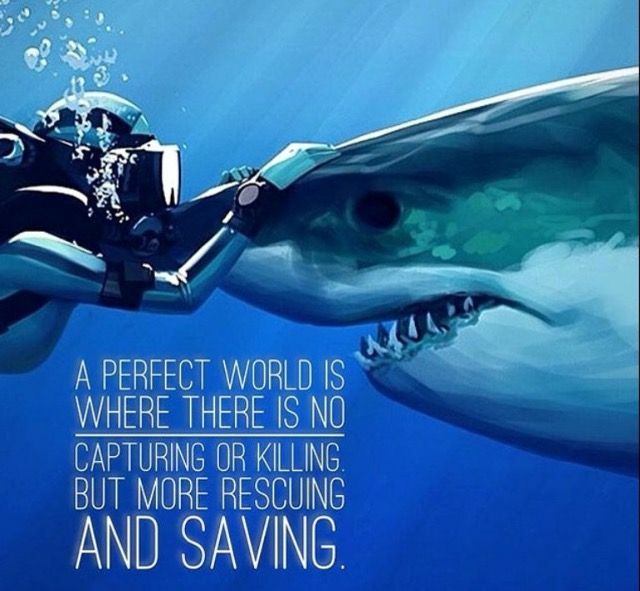 I don’t think people understand just how essential sharks are to our oceans and to our planet. Sharks have survived 400 million years and they could be gone in the next 40. Sharks are often classified as being scary and aggressive. However, you’re more likely to get killed by a coconut or a vending machine than a shark, and there are 440 known species, all with their own unique behaviors. Did you know that we kill more than 50 million sharks each year as by-catch in our tuna and other commercial fishing industries? In the absence of sharks, entire ecosystems will collapse. We cannot let this happen and I ask you all to please do your part especially this week in helping save these extraordinary creatures. · Start by checking your cosmetics and vitamins for shark oil, shark cartilage, and non-vegetable squalene. · Next cut back on your seafood intake, especially tuna and shark meat. · Lastly ask FedEX to stop shipping shark fins by clicking on this link http://racingextinction.tumblr.com/post/132502675986/call-out-fedex. There is no Shark Week without sharks. Please help to save them. I hope you all had a great fathers day weekend and are enjoying this beautiful first day of summer. My husband and I spent the weekend with my parents taking our little one on his first ever camping trip. It was so nice to spend time with family and to get out in nature. As we are coming to an end of the longest day of the year, we sat out on our back patio and enjoyed the most beautiful sunset. Colors of purples and shades of oranges lit up the summer sky. Out of everywhere I have ever been in the world, there is nothing that compares to a desert sunset. We plan on sitting around our fire pit this evening and reveling in the strawberry moon to salute this perfect first day of summer. This event only occurs once every seventy years. It is when the summer solstice and the full moon fall on the same day. The name comes the Algonquin tribes, which interpreted it as a signal to gather ripening fruit, according to the Old Farmers Almanac. In honor of this signal I am going to leave you with a yummy recipe from What The Fork for strawberry shortcake to honor the strawberry moon. Pair this recipe with a bottle of ONEHOPE Chardonnay. Enjoy everyone and happy summer! • Mix the strawberries and 2 tablespoons sugar in a bowl and let sit at room temperature for a few hours before serving. • Preheat oven to 425 degrees and spray a baking sheet with non-stick spray. • Sift and mix together the flour, xanthan gum, salt and baking powder. Use a pastry blender (or two forks) to cut the butter into the flour mixture until the butter is smaller than the size of peas. • Mix in the milk until completely incorporated. The mixture will be a bit wet and sticky. • Use a spoon or large scoop to drop the biscuits onto the prepared baking sheet into 2 rows of 4. Bake the biscuits at 425 degrees for 10-14 minutes or until done in the center. Mine were done in 12 minutes. Serve warm or room temperature. • Use an electric mixer to whip the heavy cream, 2 tablespoons sugar and 1 tsp vanilla extract together. Beat until stiff peaks form. To assemble the shortcakes, split a biscuit in half, top with strawberries and whipped cream. Place the top half of the biscuit on top and cover with additional strawberries and whipped cream. What a very busy week last week, filled with lots and lots of baking! On Wednesday I threw my first ever Cupcakes and Cabernet event. We tasted twelve different ONEHOPE wines and paired seven of them with gluten free cupcakes. It was a successful and super fun event to say the least. If you are interested in hosting an event make sure to shoot me an email or click on my ONEHOPE tab and click on the link to schedule, as I would love to showcase what ONEHOPE has to offer! Along with my party I also baked some delicious gluten free/dairy free cake pops for a sweet little girl. I ended the week with my husband’s birthday cake. Every year he requests my famous German chocolate gluten free cake. This cake contains a lot of parts and is quite time consuming. Every year I ask him if he wants to mix it up with a different recipe, yet every year he is adamant about his German chocolate... anything for the love of my life! We spent the weekend taking our camper out for the first time with some of our friends to celebrate his birthday. It was so much fun after all the hard work we have put into renovating our camper this winter. It was a blast to actually get to take her out and use her! Upon arriving home I was truly saddened to hear of the tragedy that happened in Orlando. A lot of people close to my heart are part of the LGBTQ community and I couldn’t imagine if this were to happen to any of them. My heart breaks for those that lost loved ones and those affected by this terrible catastrophe. ONEHOPE offers a bottle of Sparkling Brut can be purchased in a rainbow sparkly bottle, with a portion of the proceeds from this bottle going to provide crisis intervention and suicide prevention services to LGBTQ youth. Buy a bottle and drink to all those who lost their lives on that Sunday morning! I’m also going to leave you with a step-by-step tutorial on how to make your own rainbow cupcakes to pair with you bottle of sparkling brut. Enjoy, Cheers, and Keep life sweet! I have personally made these many times and love how they turn out. 1. Divde your batter into six different bowls. 3. Fill each colored bowl into an individual piping bag. 6. Pipe buttercream frosting onto cooled cupcakes and finish with rainbow sprinkles. *This tutorial is super easy and super cute. I have used these cupcakes in the past for seventies themed parties and they were a hit. Happy Friday and national donut day! This last Christmas my mom made the yummiest gluten free donuts ever and I’m sharing the recipe with you. I promise you that this recipe will not disappoint. On another note, ONEHOPE just released their Pinot Grigio where proceeds go to help shelter animals find a forever home (for all you animal lovers out there), this wine gives off notes of yellow mango and passionfruit. Enjoy a bottle for dessert with your chai spiced donuts. I just put an order in for my very own bottle to try and if it’s anything like their other wines, then I’m sure I will love it. Another blog post is coming your way next week. Enjoy your weekend and thanks for following. 1. preheat oven to 400F. Spray donut pan liberally with nonstick spray. 2. In a mixing bowl whisk together the flours, sugar, baking powder and cardamom. Add the chai tea concentrate, melted butter and eggs. Mix well with a wooden spoon. 4. Bake in the oven for about 10 minutes until the donut springs back when gently pushed with your finger. 5. Let cool for 5 min. then transfer to a cooling rack. Repeat the steps with any leftover batter. 6. Serve with chai glaze. 1. place the powdered sugar into a medium sized bowl. Add the chai tea concentrate and mix quickly with a stiff spatula or wooden spoon. 2. dip each donut into glaze, letting the excess run back into bowl. 3. drizzle each donut with the melted chocolate. Aloha from Hawaii and thanks for visiting my new site! I have spent the last few days renovating my site and educating myself on all things ONEHOPE as well as relaxing on the beach and hanging with a turtle, playing with my little one in the pool and showing off his swim skills we have been working on the last few months, eating some yummy sushi, visiting a waterfall, and doing a family hike along the coast amongst other things. Although I technically don't get a "vacation" per say, because my job is a mommy, it sure is nice to have a few helping hands around and to escape our day to day routine. Tonight my husband and I are doing a sunset zip line and Friday we have a dive scheduled, which I am super excited about as you all know how much I love the ocean. To toast to this family vacation I will leave you all with this yummy recipe for coconut cupcakes from Simply Gluten Free and a recipe from Something New for Dinner for tropical sangria using ONEHOPE Sauvignon Blanc. Enjoy, Cheers, and Keep life sweet! Preheat oven to 350 degrees. Line 12 standard muffin cups with paper liners. In a small mixing bowl, whisk together the coconut flour, salt, and baking soda until the coconut flour is no longer lumpy. In the bowl of an electric mixer, preferably fitted with a whisk attachment, beat the coconut oil and agave for 2 minutes. Add the eggs, one at a time, beating well after each addition. Add the extracts and beat well to combine. Add half of the flour mixture, then the coconut milk and finally the rest of the flour mixture. Beat until combined and not lumpy. With a spatula scrape the bottom and sides of the mixing bowl to ensure all the ingredients are properly combined. Fold in the coconut flakes. Divide the mixture between the prepared muffin cups and bake for 20 -25 minutes or until the cupcakes are golden brown and a toothpick inserted into the center comes out clean. Let cool in the pan for 10 minutes then remove to a wire rack to finish cooling. While the cupcakes are cooling, make the frosting. In the bowl of an electric mixer, preferably fitted with a whisk attachment, beat the coconut oil with the extracts to combine. Add the powdered sugar, 1 cup at a time and blend after each addition. The mixture may look clumpy, this is ok. Add the coconut milk, 1 tablespoon at a time until the frosting reaches desired consistency – you want it similar to butter cream frosting. Continue to beat for 2 minutes. Frost the cupcakes generously and top with the coconut chips or flakes. It is best to keep the cupcakes in the fridge if not serving immediately but take them out about 10 minutes before serving to take the chill off for best results. Put mango cubes and sliced strawberries in a pitcher. Cut the passion fruit in half and scoop the seeds into the pitcher. Add wine, pineapple juice, rum and sugar. Stir gently to combine and taste. Adjust sugar as needed. Cover and put in the refrigerator overnight. To serve, fill glasses with ice. Pour in sangria with a little fruit. Top with sparkling water and garnish with strawberries and a sprig of mint.